Thank you very much for your gift to the Land Trust. With more than 15 conservation projects in the works this year—including the 25-acre Oak Woods project in Green County and three productive farms around the area—we truly appreciate your help! Come on – we can do better! So what’s wrong with the letter presented above? Absolutely nothing. It gets to the point. It serves the purpose. It’ll work in a wide variety of giving situations. But it’s uninspiring. Liz Ragland at Nonprofit Marketing Blog, encourages us to write “fridge-worthy” letters. Yes! February is a month I’m devoting to writing well and with that writing, connecting more with the donors who sustain us. I invite you to join me. Go back and review the communications theme(s) you adopted in January. (See Communications Theme for 2015). Write your letters with your overarching theme in mind. Take your time. Talk about how you feel. Instead of facts and figures, tell a story. Make it about a single person or family whose lives were changed, or whose property was protected, or whose dream was fulfilled because of the conservation result. Make the donor the HERO of the story. As I sat here this morning opening the mail, I came across your generous donation. I am so grateful that you are joining us again in making conservation possible in the valley. 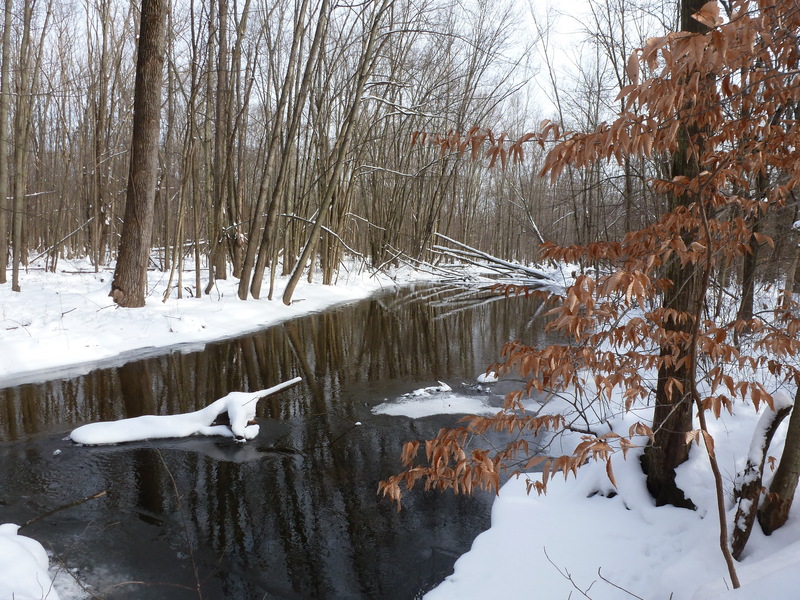 Last December, Bob and Ann Smith completed a deal that conserved about two-thirds of their wooded property along the lakeshore. This conservation success was made possible by people like you who helped sustain Land Trust through their annual contributions. When the Smiths were ready, Land Trust was there. Your generous donation of $200 now means that Land Trust will be there when the next landowner is ready to complete their dream of protecting their property. YOU have created the potential for additional land conservation in the valley. Thank you! You are making a real difference in the lives of the families here in the Valley – close to home. David, thank you once again for your donation. It means the world! Take all the other numbers out of your letter! The fact that you are working on 15 projects, including 25-acres here or there, is neither helpful nor effective when communicating with donors. It speaks to the head, not to the heart. Let the thank you be the only purpose of the letter. Avoid combining it with another solicitation (yes, I’ve seen it happen! ), or an invitation to another event. Those communications can fill another, separate envelope. Consider writing it from an unexpected perspective, especially for donors who have a specific interest – such as from an intern who spent the summer on the land, or a child whose church had a program on the preserve, or even a bullfrog whose pond will be cow-free because of the fence you helped purchase. Regularly scan for the we/you sensitivity. When letters refer to “we” and “us,” they should be inclusive of the reader (or donor). If you are thanking donors for helping “us” protect more land, consider rewriting the sentence. Consider augmenting your letter with a photo or a video. Say thanks again at the end of the letter. Got a great example of a Thank You letter? Perhaps one that you’ve used or one that you’ve received? Please share it here. Update from last week’s post: I outlined this post last week Monday, I wrote most of it on Friday, and I refined it and finished it Monday afternoon. I also outlined next week’s post this afternoon as well. Proud of me? Photo credit: Courtesy of Southwest Michigan Land Conservancy.